Although Twitter today decided to remove the hated QuickBar from its iPhone app, Cydia has added the bar to its timeline tab. 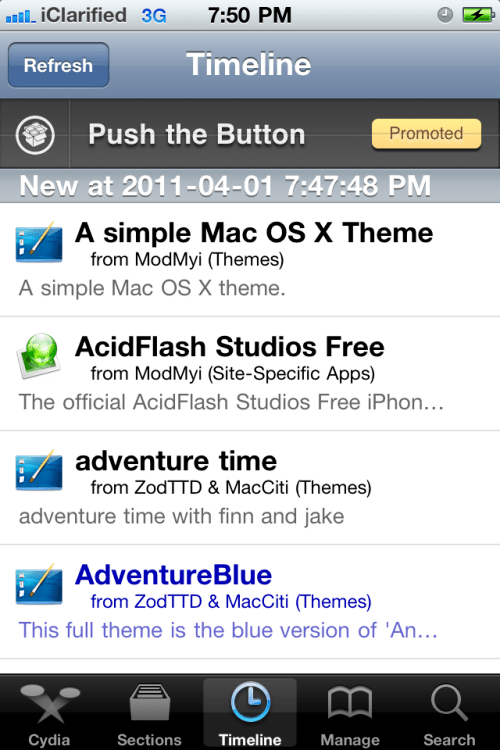 Cydia's Quick Bar promotes trending topics that you might be interested in; such as, #Glee, #JustinBieber, #LadyGaga, and more. Tapping the bar will take you to details page for a related package. If you don't see the Quick Bar it will appear once your device's date changes to April 1st, 2011, April Fools Day.